John H. Irons joined Picher, Nichols & Meeks in 1990. He is a partner in the firm’s real estate department and is a member of the firm’s Executive Committee. Mr. Irons’ practice focuses on real estate acquisitions and dispositions, joint ventures, financing, secured debt, restructuring and workouts, as well as other complex real estate-related matters. Mr. Irons holds the highest peer review rating available, the “AV Preeminent Peer Review Rated” rating, from Martindale-Hubbell. Mr. Irons was selected as a Super Lawyers' Top Rated Real Estate Attorney in Los Angeles for 2016, 2017 and 2018. Mr. Irons was also selected by Best Lawyers for 2018 and 2019. Mr. Irons was also selected as the sole California attorney to be featured in the 2019 Real Estate Law Experts directory. Mr. 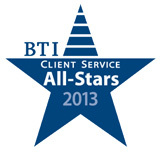 Irons was also selected as a BTI Client Service All-Star in 2013. The clients Mr. Irons has represented include: AIG Global Real Estate, Atherton-Newport Investments LLC, Blackstone Real Estate Advisors, CarrAmerica, Colony Advisors, Countrywide Home Loans, Credit Suisse First Boston, Equity Office Properties, Farallon Capital Management, L.L.C., Hilton Worldwide, Inc., IndCor Properties Inc., ING Barings, JMB Realty Corporation, LivCor LLC, Northwood Investors LLC, Och-Ziff Real Estate, Playa Capital Company, and Secured Capital Corp.